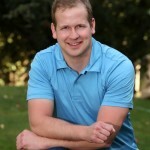 David is a Material Science and Engineering PhD student at Washington State University (WSU). He set up an electroplating lab and a battery fabrication and testing center at WSU to fabricate and test new generation anode materials. He subsequently authored a manuscript based on his template free tin nanoneedle anodes. He has learned a great deal about how to perform research at universities that can make it to the marketplace, and loves to share it with others to improve their research. He also loves to proofread and edit academic work. Hamdi is a fresh graduate from the University of Wisconsin-Madison and holds a Bachelor’s of Science in Biology (Neurobiology option) with a Certificate in Entrepreneurship. 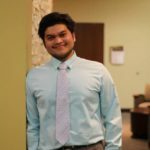 While studying, he was involved in the college newspaper by assuming the roles of Copy Editor and Science Writer, which required him to be meticulous in both writing articles and editing them. His experience in writing has also garnered him a few awards by the English Department of the university. Additionally, he was also heavily involved in research work on campus which not only trained him to be analytical and thorough with the experimental procedures, but allowed him to have first-hand experience in writing and proofreading various papers prior to their publications in high profile journals. 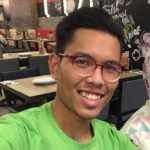 With an interest in the English language and creative writing cultivated from the age of 14, Lee holds a Bachelor’s Degree in English (HONS) from Universiti Tun Abdul Razak (UNIRAZAK), as well as a Masters of Science (Learning Sciences) from Universiti Malaysia Sarawak (UNIMAS). After a brief stint as an English lecturer at Technic Campus International in Puchong, Selangor, Lee began teaching English at Technology College Sarawak, where she is also the Editorial Unit Team Leader. This position has required her to proofread and edit (sometimes write) letters, press releases, newsletter articles, speeches, memos, notices, and other documents circulated in and out of the organization. 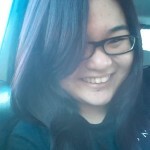 Hence, Lee’s interests, as well as her academic background enables her to proofread academic work with high precision. Diana graduated from the North University of Baia Mare, Romania in 2009, and holds a Bachelor’s Degree in Journalism. 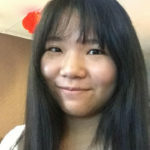 She has been working on various proofreading projects including academic papers, PHDs, blogs, IELTS tests, and non-fiction books, with clients all over the globe. Diana’s specialty lies in the humanities department; however, her freelancing career drove her passion and eagle’s eye to other specialties such as medicine, psychology, and marketing. She has a knack for spotting grammar issues, inconsistencies, punctuation, spelling, hyphenation, content fluidity, etc. Diana is also highly familiar with the Chicago Manual of Style, AP Style Guide, APA style, and the MLA Style Guide. 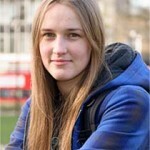 Christine is a postgraduate student at Queen Mary University of London. She has over 15 years experience in writing and proofreading both academic and non-academic work. She has written over six novels, and is expecting her next work to be out very soon. In terms of academic work, she prefers to assist students with a social sciences background. 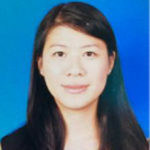 Ai Wen received her Bachelor’s Degree in Materials Engineering from University of Malaya (UM), Malaysia in 2010. She then shifted her academic focus towards biomedical and began her Ph.D. study at the same institute. 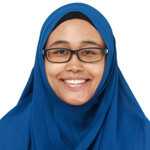 She was awarded her Ph.D. degree in Biomedical Engineering from UM in 2015, and worked as a postdoctoral researcher in August 2015 for one year. Ai Wen has published several first-authored publications in highly prestigious scientific journals such as Nature Scientific Reports and International Journal of Nanomedicine. She has vast experience in writing, editing and proofreading research articles for publication in both local and international journals. 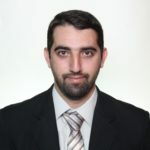 Bassel holds a Bachelor’s degree with first-class Honours in Pharmacy, and became a fellow at the School of Pharmaceutical Sciences, USM, Malaysia in 2013. While undertaking his M.Sc in Pharmacology, he professionally edited a large number of manuscripts and several theses written by postgraduate students. He has peer-reviewed research articles for major online publishers like Taylor & Francis, and co-authored research articles published in high-IF journals, such as Nutrients. He is familiar with both American and British styles of writing, and has the skills necessary to proofread academic work, especially scientific communications for pharmacy, medicine and chemistry. Lucie holds a degree in Politics and International Relations, and recently completed the Graduate Diploma in Law (GDL) in London. She is currently undertaking an LPC LLM in Professional Legal Practice. She has several years experience working as a proofreader for students, professionals and an academic publishing house. Her areas of expertise relate primarily to her own academic background in humanities, particularly politics and law, but her proofreading work has led her into a variety of disparate fields, from philosophy to Aboriginal art. She enjoys the challenge of getting to grips with new academic areas and always aims to deliver the highest standards of accuracy, consistency and readability for her clients. Kelly is a PhD candidate from Chicago. She enjoys helping fellow university students in proofreading and editing. She especially loves to proofread work on psychology, as she is majoring in this academic discipline. During her free time, Kelly likes to read about the origin of emotions, and how they impact human behavior. Although she is able to proofread academic work in most topics, she likes to stick to editing articles about psychology and related areas. Maryam grew up in Boston, MA. She is an Engineering graduate from the Australian Maritime College in Tasmania, where she specialized in Naval Architecture, designing and building ships of different kinds. In school, Maryam was known as the walking dictionary, a title she wears with pride to this day. She finds it extremely fulfilling to be able to help students deliver quality academic work. To her, Proofreading offers a glimpse into the vast, diverse knowledge that the Universe has to offer, be it Tourism, Economics, Engineering, Environmental Sciences, HR, Biology, Architecture, or even the English language itself; all are precious and equally important – the more we share, the better we become, and what better way to share than through good, clear, and direct use of language? Rina is a Princeton University graduate who has always loved reading and writing. Her passion for the written word has led her to become involved in editing at a young age, during which she managed her primary and secondary school’s Yearbook team as the Head Editor. These early forays into the editing world later naturally evolved into a fulfilling professional proofreading career. Rina has a natural flair for the English language, and is a skilful and dedicated editor. She finds it extremely rewarding to work with clients on polishing and refining their writing. In her spare time, Rina writes articles for blogs and is currently working on her first novel. 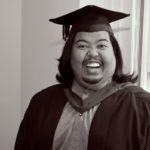 A former English and History teacher, Wan Muhamad holds a Bachelor of Science in Foreign Service from Georgetown University, Washington DC and a Post-Graduate Diploma in Education from the Northern University of Malaysia. He is currently attached to a government agency. 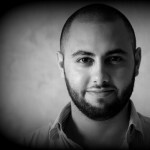 He enjoys proofreading as it provides him with the avenue to be exposed to a wide variety of topics, while at the same time polish others’ works and take it to the next level. His experience in education in particular allows him to help others present their ideas in a more succinct way. 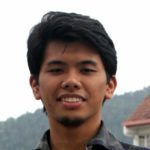 Syukri holds a Bachelor’s degree in Accounting & Finance from University of Warwick, UK. Although his qualification would associate him being an expert in numbers, his interests are more focused on the qualitative aspects of the field. Such quality influenced his decision to be involved in the field of public policy development. Naturally his professional career requires him to be meticulous in his work, besides having the skill to think and write with clarity. So his focus in proofreading has always been to ensure an elegant, succinct and clear drafting product. Lora holds a PhD degree in Biological Sciences from the National University of Singapore (NUS). 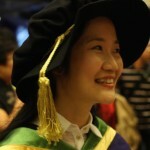 She obtained her bachelor’s degree in Life Sciences from NUS. She studied English Literature and Linguistics at the Department of English Language and Literature at NUS, and holds a minor in English Studies. 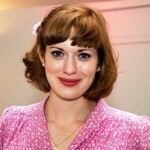 Lora has also worked as a Research Assistant and a Research Fellow at the same University. 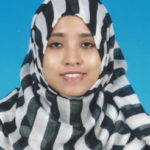 She has vast experience writing, editing and proofreading research articles to be published in high impact factor journals such as Current Biology. Nor has recently graduated as a medical doctor in New York. She is currently an intern at a general hospital. Having published several articles for the American Psychology Association, she is a reviewer for several journals there, is equipped with the skills to proofread academic work on medicine and chemistry. 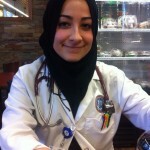 When not at the operating table, she enjoys helping other medical students with academic articles. 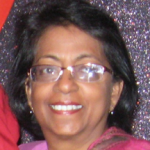 She is currently the main proofreader for medical articles at PM Proofreading Services. Ross, from England, provides you with an abundance (12 years) of proofreading experience at all academic levels covering a wide range of content and prose. With his latest employment as an English lecturer / proofreader at a prominent university in SE Asia, he offers a superb work ethic as well as the associated knowledge resultant of possessing a Master’s in Education. Furthermore, he takes a pragmatic and rigorous approach to completing your work and meeting your deadlines. Kevin is a native speaker of English from the United States. He has completed his Bachelors and Masters in Philosophy, and is currently pursuing his PhD in Islamic Studies at the University of Malaya. He has nearly eight years of experience in proofreading, particularly for academic articles in liberal arts and law, although he has also edited for science journals. Along with this, he proofreads Masters and PhD dissertations. Given his background in philosophy, he is meticulous with details, and strives for consistency in grammar, definitions, and style. He will also look at a piece of writing from a logical perspective, analyzing for any contradictions or inconsistencies in argument or presentation. Jasmine left Kuen Cheng High School in order to pursue a degree in Dentistry. 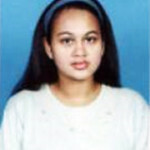 When she was 14, she obtained the Cambridge Certificate of Advanced English (CAE) with a Grade A result. She went on to score a full mark in the TOEFL Junior Assessment, and 660 in TOEFL ITP in the next few years. She was the co-editor for Kuen Cheng Newsmagazine; this has allowed her to garner experience in editing articles with high quality. With her extensive background in English and studies in science, she plans to further expand her proofreading horizons. Carol holds a Master’s degree in English Language Studies from the National University of Malaysia (UKM). She obtained her Bachelor’s degree in Teaching English as a Second Language (TESL) from the Technology University of Malaysia (UTM). Carol has experience working as a teacher and a lecturer in a number of institutions. At the same time, she has vast experience in writing journals, editing contents, and proofreading research materials for publication in both local and international journals. 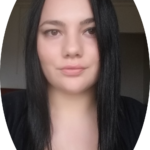 Elizabeth has more than 6 years of experience as a subeditor, proofreader and proposal specialist in a multi-national publishing company and IT solutions firm. 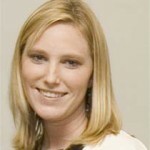 She has supported over 120 complex bids across multiple regions (Americas, Europe and Asia). Elizabeth has also mentored new subeditors and conducted training to upskill existing subeditors. She has experience as a technical writer for US subsidiary accounting and tax software publications. She has also proofread several academic manuscripts to help postgraduate students publish their work. Elizabeth constantly strives for excellence to ensure all manuscripts are concise and have zero language errors. 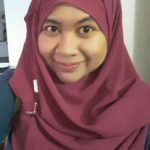 Having a number of years of work experience with Malaysia-based New Straits Times, The Sun, The Edge Singapore and Malaysia Weekly and two decades of experience in the NGO/research field as well as functioning as a journal editor for a few academic journals in Malaysia, she is well poised to act as a proofreader for academic work. She holds an MA from Defence and Strategic Studies, ANU, Australia. While working with the Malaysian Institute of Maritime Affairs (MIMA), she had produced several publications looking at the human trafficking and migration issues, and worked closely with IOM Malaysia in relation to a research project on transnational human trafficking issues. 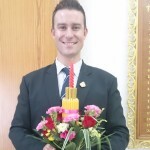 With a Master’s of Education, Teaching Second Languages, from the University of Southern Queensland, Australia, Gerard is an expert English teacher and editor. 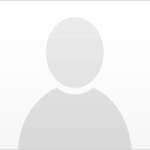 Having proofread numerous academic journal papers and articles, he has many years of experience. He has worked at several universities in Malaysia, including Monash University and the University of Nottingham. He is able to proofread academic work in almost all major disciplines. Magdalen has a degree in Law from the University of Sheffield, and has been a freelance editor for over 20 years. Having worked for academic journals and publishers in both Asia and Europe, her specialty involves transforming muddled text (especially that penned by non-native English speakers) into grammatically correct and stylishly written prose. As a professional writer, she has also worked for production companies penning movie and television scripts, and is now in the process of publishing her first novel. Angela Jessie is a retired Assoc. Prof. of English with a B.A. (hons) in English, a Diploma in Education and a Masters in Education (TESL). She has extensive and international experience in teaching English at various Academic institutions. 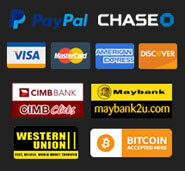 She is familiar with English for the Sciences, Business, Accounting, Legal and Medical fields. Angela writes teaching material for English Language programmes. She is also a creative writer with published stories. She has been on the editorial board of college newsletters and was an active contributer to MELTA magazine. In the course of her career, editing and proofreading for structure and grammar are second-nature and ongoing. Angela has been on PM Proofreading’s team for the last three years. Sathiavathy holds a Master’s degree in Marketing from the University of Northumbria at Newcastle, UK, with she excelled with a Distinction. She also has a Diploma in TESOL from the UK as well as a Certificate in teaching IELTS also from the UK for which she scored a Distinction. She has worked on various assignments related to academic work for postgraduate students. With writing, editing and proofreading being her passion, she works very well under tight datelines and is a flawless English editor.